I have a great passion for the ocular health as well as the overall health and wellbeing of patients. It is our mission at Eye Q Vision to provide the most personalized and highest quality care. We achieve this by using the most advanced technology combined with a genuine attitude of caring to make your visit with us unmatched in the northern Illinois area. I believe that the best care begins with a well informed patient. That is why we educate our patients with the best possible treatment options to address the problem(s) that brought them in for treatment. I grew up in Dekalb and graduated from Dekalb High School and received my Bachelor of Science in Biology from Northern Illinois University, which is why I chose to establish a practice here. I then went on to complete my Doctorate in Optometry from the prestigious Illinois College of Optometry in Chicago, Illinois (ICO). The oldest continually operating educational facility in the world dedicated solely to the teaching of optometrists. I am certified by the National Board of Examiners in Optometry. 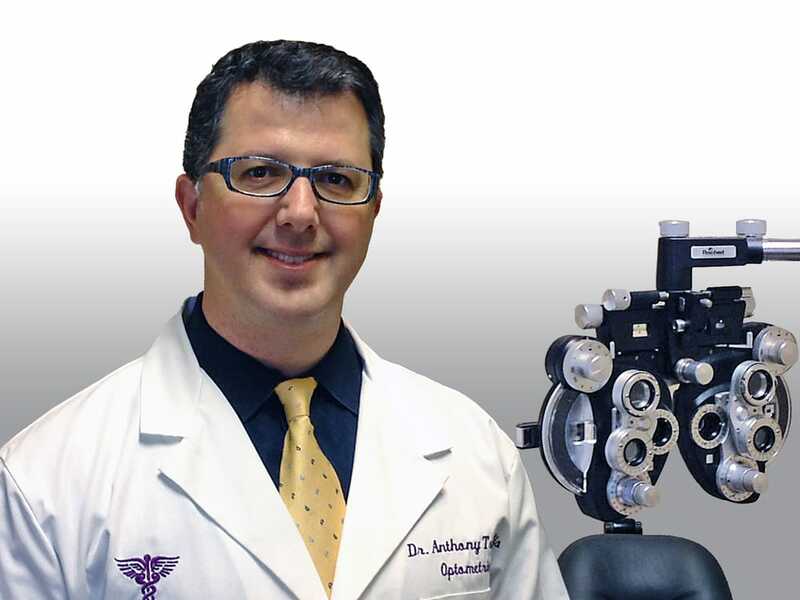 During my clinical rotations at the Illinois Eye Institute he provided primary care, pediatric and binocular vision care, low vision, advanced ophthalmic care (diagnosis and treatment of ocular diseases), and standard/complex contact lens services. I also performed a rotation at the Gilchrist-Marcman Rehabilitation Center providing complete care of head start and mentally challenged children. I specialize in the hard to fit contact lens patients, dry eye disease, and allergic eye disease. I've had the pleasure of caring for many of my old friends, teachers, professors, neighbors, and past employers as patients. It is humbling to have the honor and privilege to care for all of the people who entrust us for their eye care needs. When I am not practicing eye care, I try to spend as much time with my lovely wife and our two beautiful children. We are raising our children in the community I was raised in and it has been a wonderful experience. We look forward to cheering them on in both their academic and athletic pursuits!